Events, Thanks and Can You Help? Events / Thanks / Can You Help? Please donate to Rottie Friends Rescue. We need your support! You may donate through PayPal using the button below and specify any donation amount. 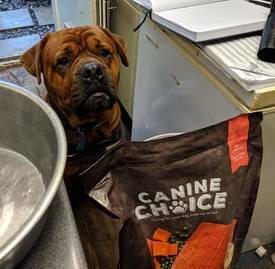 We are hugely grateful for the Canine Choice food we currently receive from Paws. This is a food company that supports rescues with its “shelter scheme” meaning that if you buy food from them funds go towards feeding a shelter dog like Bozer. 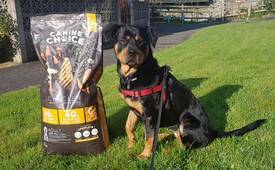 Ellie rott had the food whilst with us and now her new Mum purchases it so she can help other dogs still in rescue. The company has been set up by a vet with a team of professionals that can give advice on health and dietary needs. The website has some really good “food & health” info and they are very happy to discuss the foods they sell. © Copyright - Rottie Friends Rescue. All rights reserved.